With Real Madrid in line to come back hunting for Manchester United’s number one goalkeeper David De Gea, and Jorge Mendes pushing for the deal to happen, reports from the The Sun have claimed that the Red Devils will do anything to keep the Spaniard stay put, which includes a raise in his wages. The keeper currently earns a grand £200,000 per week, and despite rumours stating that he might be on his way to Spain with Mourinho willing to let go, the pay raise move from the Red Devils comes as one of intent and determination to keep hold of their player of the season since the past 3 years at the club. A similar move was applied last year, as United trumped Real by offering Pogba a wage amount the Spanish club did not fancy matching up to, and hence, it could be seen as tried and tested to be successful and effective. Although Real do have a highly worthy keeper in Keylor Navas, who has helped them reach yet another Champions League semi-final and was brilliant in their recent loss to Barcelona, the club is on the outlook for a replacement of absolute world class quality, and if the De Gea deal does not eventually take place, Thibaut Courtois would be a target Zidane would consider chasing. 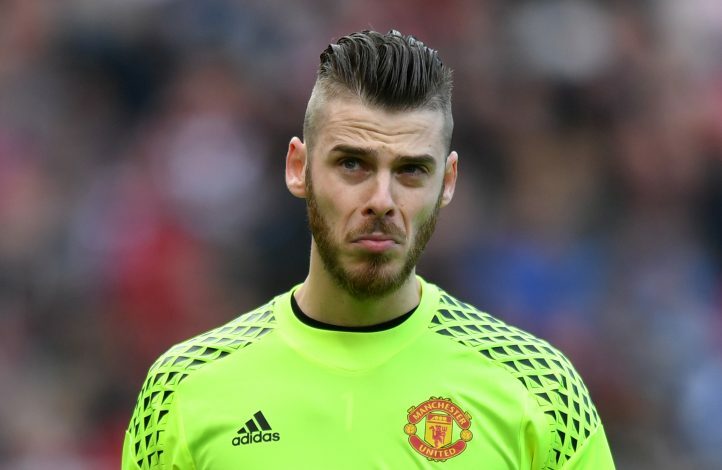 De Gea had almost made a move to Real Madrid a couple years ago, and whether the fax machine will be properly functional this time around is something only the transfer window will tell us. Do not sold De Gea to Real Madrid, we need him he will not go from Manchester united, don’t know what Jose Marihno is thinking let him stay at Manchester united forever. Divided Degea,is a soldier in the battle field,so united should first concentrate high before any otht transfer.